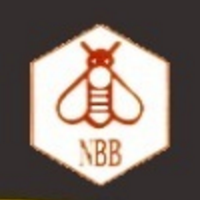 Online Application Details for National Bee Board NBB Recruitment of 4 Technical Experts and 4 Secretarial Staff is given below. Application form and duly attested documents are to be sent to The Executive Director, National Bee Board, Department of Agriculture, Cooperation and Farmers Welfare, Ministry of Agriculture and Farmers Welfare, Government of India, B-Wing, 2nd Floor, Janpath Bhawan, Janpath, New Delhi-110001. In envelope super scribed with 'Application for the Post of Post Name'.